The Masala Wala | Oh No! Not Another NYC Food Blog! We stumbled upon this place by pure happenstance. We happened to be on the Lower East Side to see a movie; the sky happened to look like it was going to start spitting demons; and we happened to duck down a side street or two looking for something either really tasty or really healthy to eat. Right before the bottom fell out of the sky, amid leaf and street trash tornadoes, we spotted a sign proclaiming South Asian Roadside Food. We love Asian and we love road food, so we ducked in. We did a few light dishes rather than getting large entrees or one of their really good looking custom bowls. 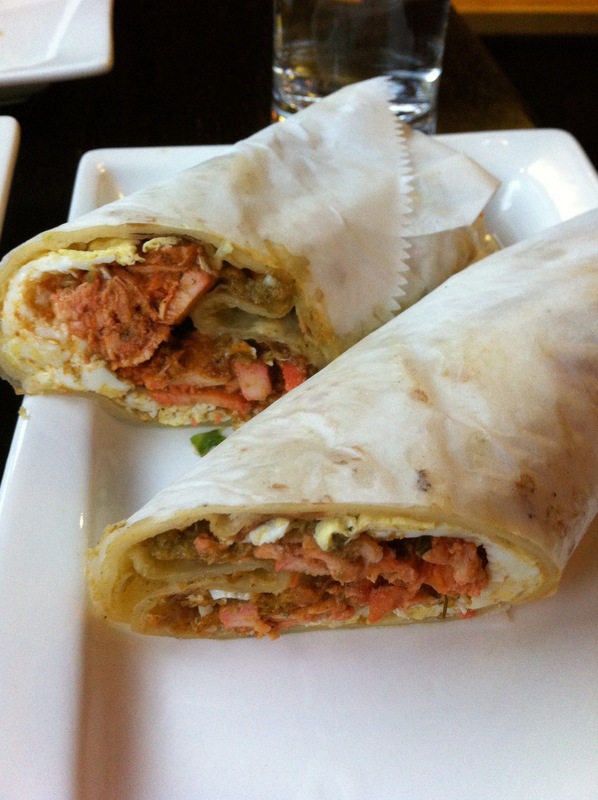 Chicken Tikka Roll with Egg – Richly spiced, succulent and delicious chicken wrapped in a roti burrito with fried egg layered in between the rolls. Yum. Really yum. 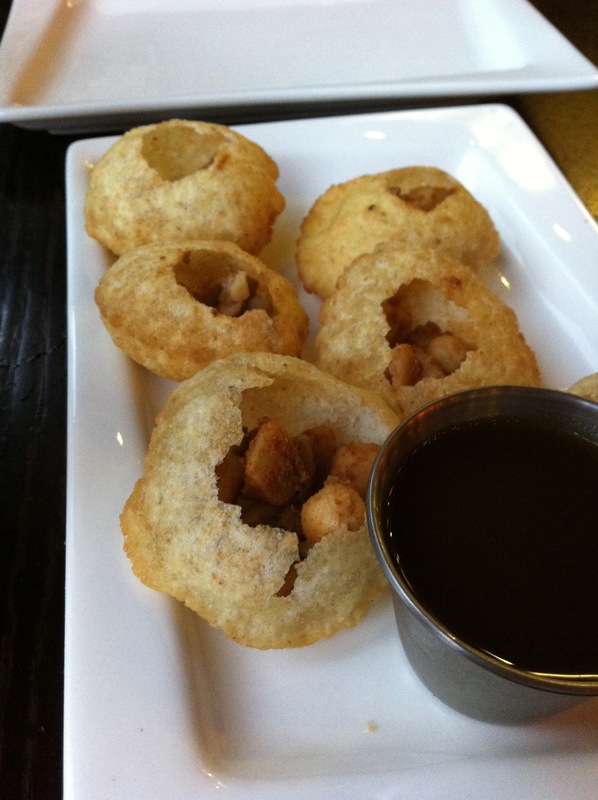 Pani Puri – Fun, nicely spiced potato and chickpeas in a hollow cup of crispy fried dough with tamarind dipping sauce. 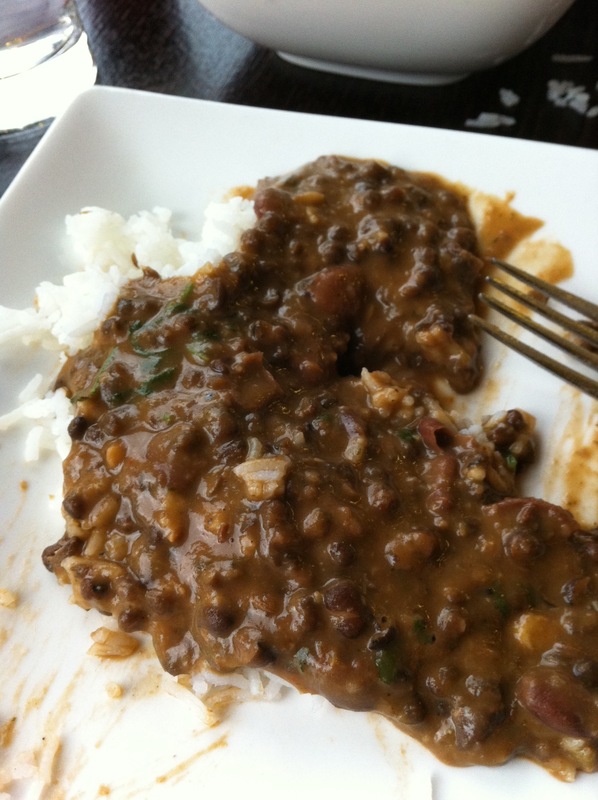 Dal (black lentil) – Comforting velvety pool of dal with, again, rich deep spices. I could wrap myself into a bowl of this any day. Fluffy and perfect basmati rice – This was the good stuff. Edison bulbs and dark cherry wood in a modern chocolate and cream decor scheme. New tech in place like waitresses ordering on iPads. 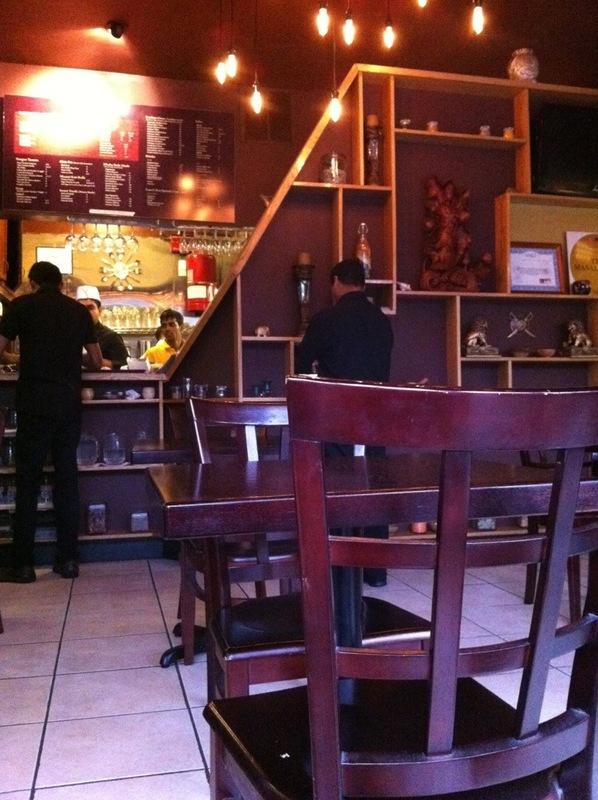 The staff was supremely welcoming and the owner checked personally after the meal to assure it was up to standard. I am really glad we rolled the dice on this place. Sometimes you roll the hard six and win. 4.5 out of 5 for crazy good food and really top notch service. Well worth a special trip to the area just for the food.